Take a journey through a hallway of seven doors. Each door leads to an empty room where you can unload any heavy thoughts that you may have been holding onto around a certain subject in your life - a specific subject, for each room. This is a massive chakra clearing meditation healing session so please drink plenty of water afterward to help aid the clearing process. Breathing into your heart, you are guided to fill, rejuvenate and expand your unconditional love energy until you are truly radiating. What you do next, fills the people that you choose to hold in your minds eye, with a loving tenderness as the electromagnetic field from your heart is emphasised as you beam like a small sun. 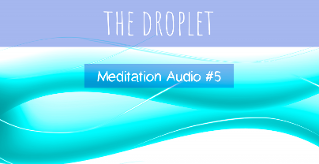 Even though this guided meditation is relaxing, there is work involved here. 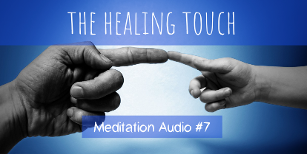 Simply follow along to my voice as you are guided through two different ways to be able to bring an awareness to the thought that you might be having on a daily basis. When you become aware of those thoughts that run on automatic pilot, you can step in, allow the thoughts to move through your mind without attaching to them as you purposefully take charge of the most powerful tool that you posses - your mind. This tool creates the outcomes that you are seeing in your life today! If you don't like what you are seeing in your life, you need to change your mind! As you are protected by Archangel Michael and Guided with The Light of your Higher Self, you will fill every fibre of your being with a beautiful healing energy all the way down your skeletal structure, organs, skin, muscle, tissues right down to the tiniest atoms and particles. Drink plenty of water after this meditation process to help the energy flow through your body as it heals for your highest will and good. Enjoy! Journey through the universe, galaxy and solar system as an individual droplet of water and then, as you come to a stop, experience yourself as a part of The Whole.